I was trying to install all those tweaks and mods which I previously had on iPhone 3GS on to my iPhone 4 only to find out that some of the more important and popular apps were still not compatible with the Apple’s latest handset. Then I came around this list of iPhone and iOS 4.x jailbreak compatibility list which does a good job in keeping you up to date with what’s working and what’s not for your version of handset and OS. Oh and if a particular app is not covered by the list, you can always submit a request so that somebody can test and post back the results for you. Since this list is regularly updated, I will suggest you keep an eye on it to know when or if a particular app is compatible for your version of iPhone / iOS. Some other JailbreakMe related fixes that you maybe interested in.. The comment in the table regarding Desktop/SMS background functionality being offered by iOS4 is not accurate. iOS4 does not add this functionality. So Desktop/SMS background needs to be fixed to work with the iPhone 4. If am wrong in this let me know how to change the SMS background because I just don't see a way to change it on my iPhone 4. I have tried and tried. tried some of the app from cydia that say working but they not working. What exactly does the gray box with the dash mean, especially as it relates to the iPhone 4? The list may be updated, but the Dev Team or whoever else will never care, so it'd be better just to give the guy an email. And Recent/Calllog Delete (On the Cydia Store) isn't on here, showing this sheet's lameness. I have an 3GS with new iboot. I updated from 3.1.3 to 4.01 everything was ok, but I found an interesting problem. When viewing the images and I try to slide it to the next picture it exits the camera roll. After Respring, even after reboot too. whit the little arrows it works, but i can't scroll the video. Today I made a new restore and synced it as a new phone, the error occurred. not at first but once it was ready for a 20 minutes. Oh, and the latest when i enter the settings and I want to rewrite the email signature, it quits. updating to 4.0 its useless right now, only if you want to see how the os works then downgrade back to 3.x, the multitasking on 3gs will drain up your battery to hell.. its worth it..
i guess up to now, i stumbled only in one or two apps in appstore that i wanted to get, but were 4.0 only. my ifacebook does not work proberly… for some reason I can`t find it in the list… help please. I added the app “Call me” to my iphone 4 and it seems to have disabled both iOS4 multitasking and user home wallpaper, even after I delete the app from Rock it still does this, PLEASE help me! cant delete recent call list ??? help please!!!!!! 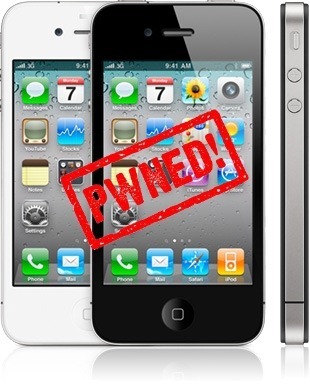 I would like to jailbreak my iphone 4, unfortunately i have upgraded to 4.0.2, is it still possible? If so how do i go about doing it?? ?